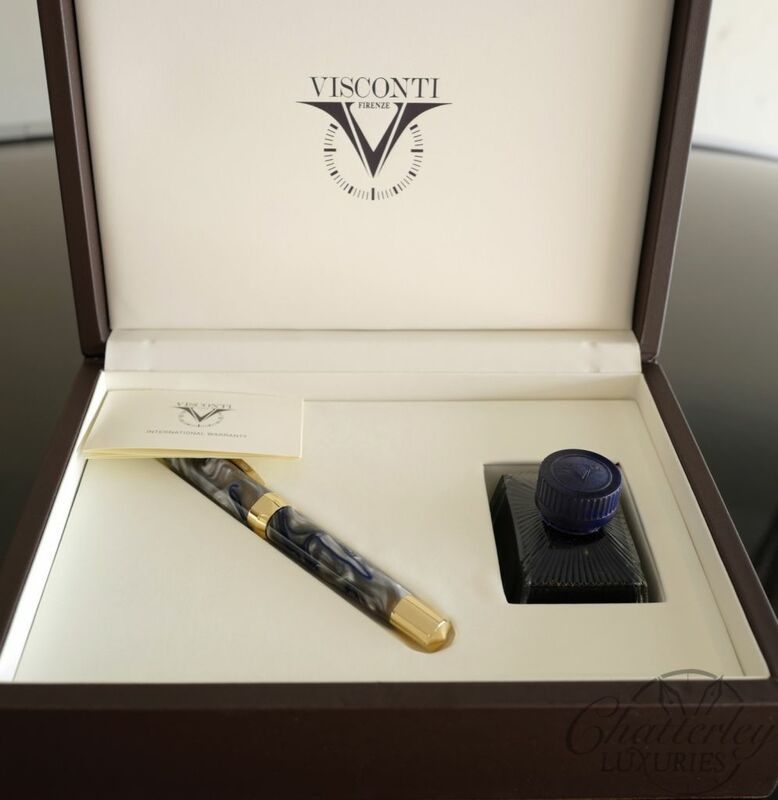 Chatterley Luxuries and Pentime LLC are proud to announce another exclusive collaboration with Visconti. 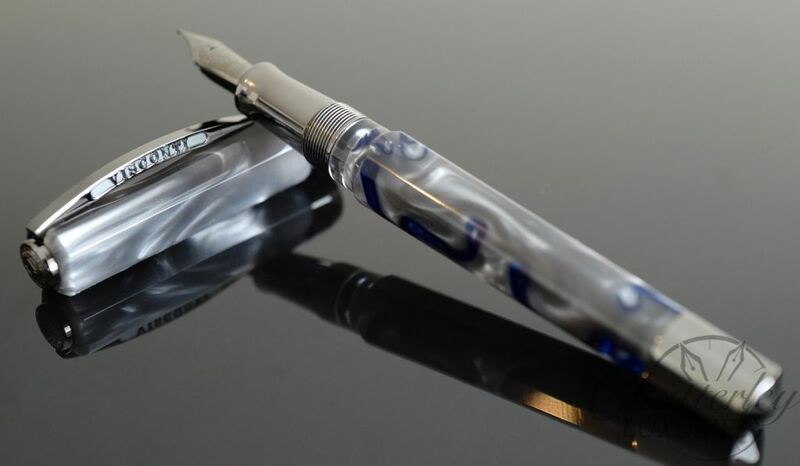 This pen is based off of the Opera Master Fountain Pen. 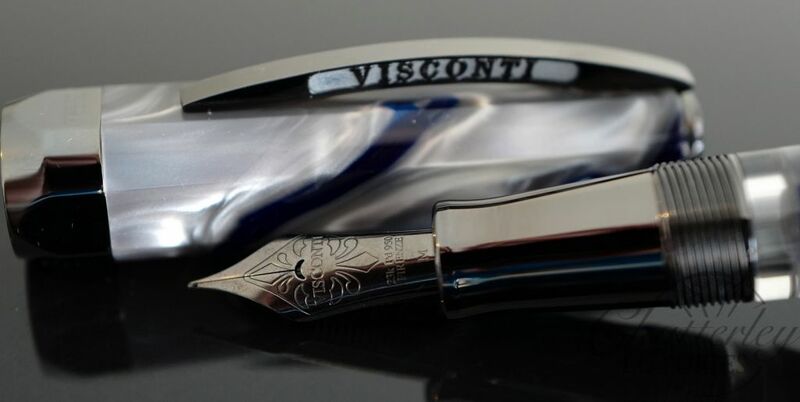 It is made from a beautiful swirled resin made popular by Visconti with the Visconti London Fog. The grey resin material is reminiscent of London’s grey smoke hood. 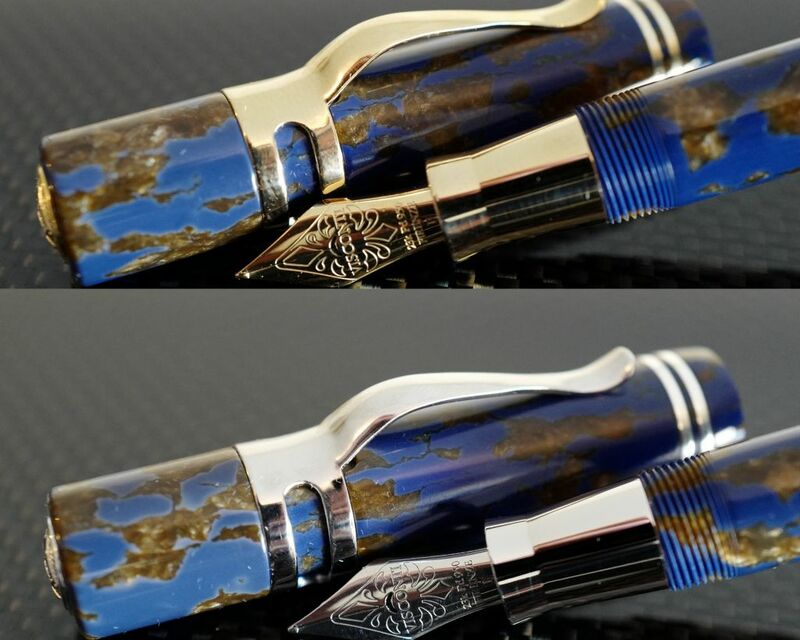 While the blue swirled thru the grey around the cap and the body represents the River Thames that runs thru London. The River Thames is a river that flows through southern England, most notably through London. At 215 miles, it is the longest river entirely in England. 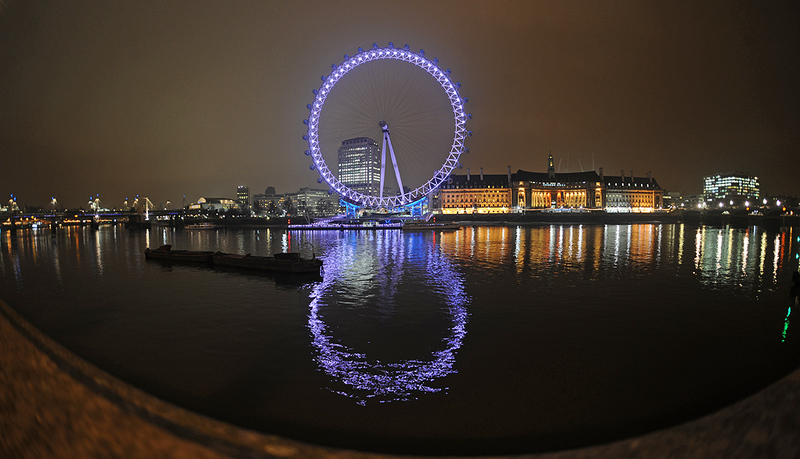 The Thames flows through Central London and provides a stunning backdrop to many of the city’s top tourist attractions. The 2,000-year-old river harbors much of London’s history, as well as providing ongoing inspiration for artists, musicians and writers. It now lends itself as inspiration for this new exclusive. 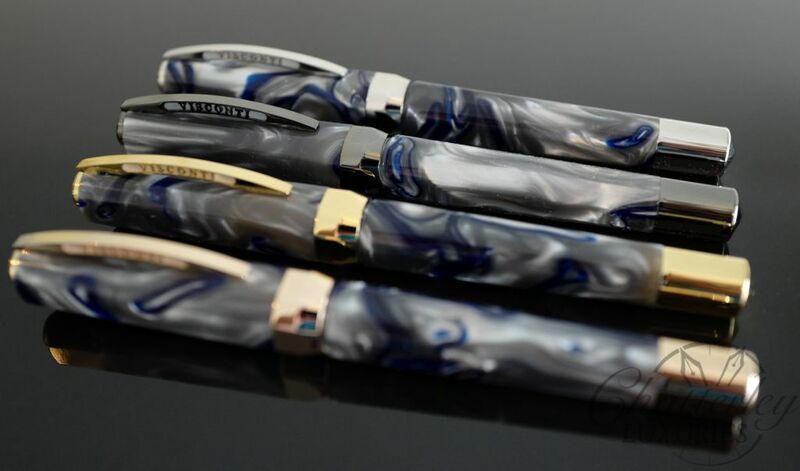 These beautiful pens are available in four trim colors. Yellow Gold to represent the River at Sunrise. Silver to represent the River at Mid-day. Rose Gold to represent the River at Sunset. Ruthenium to represent the River at Midnight. 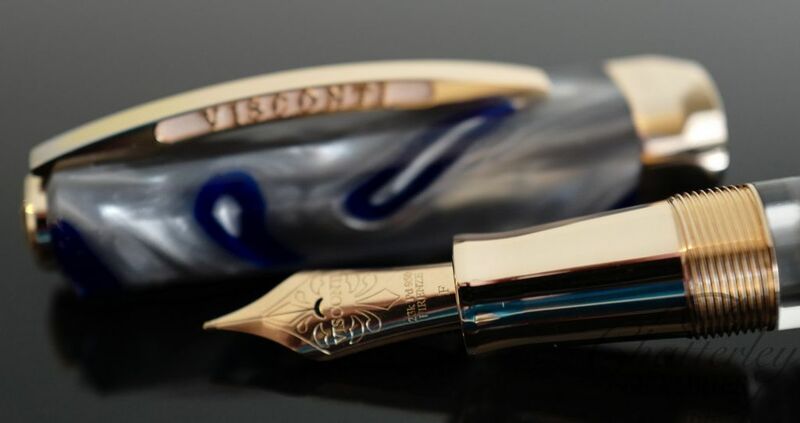 The nib for the Midnight is a Ruthenium-Plated 23k Palladium nib available in EF, F, M, B, Double Broad and Stub. The filling system on these pens are Visconti’s patented Double Reservoir Power filler and hold quite a bit of ink. They also have an ink window so you can see how much ink is in the first reservoir. 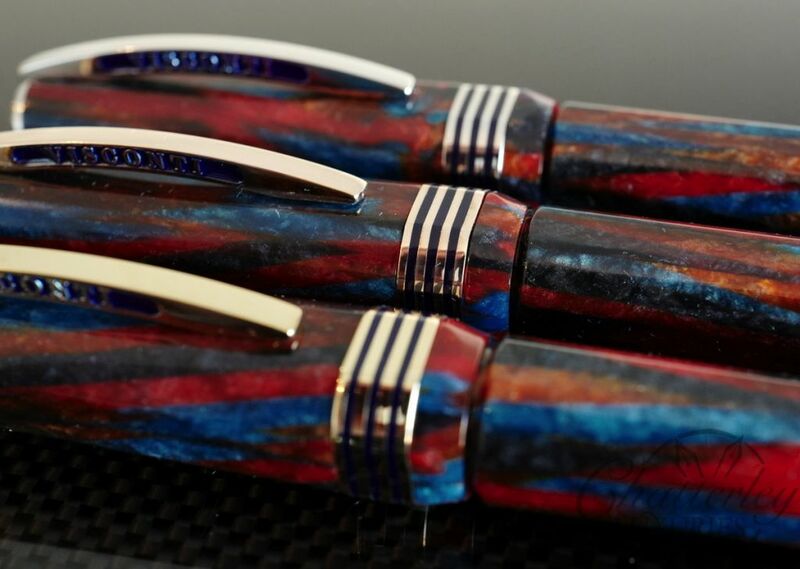 All four versions are numbered and limited to only 28 pens sold exclusively thru Chatterley Luxuries and Pentime LLC.